Heat oven to 350 degrees F. In a large bowl, stir in brown sugar and butter until blended. Stir in vanilla and egg until light and fluffy. Stir in oats, flour, and baking soda. Add in chocolate chips and nuts if using them. Onto an ungreased cookie sheet (I swear by silicone baking sheets) drop the dough by rounded tablespoons about 2 inches apart. Bake 10-12 minutes, or until golden brown. Cool slightly; remove from cookie sheet and transfer to wire rack. Hubby Rating: 10! These are amazing! 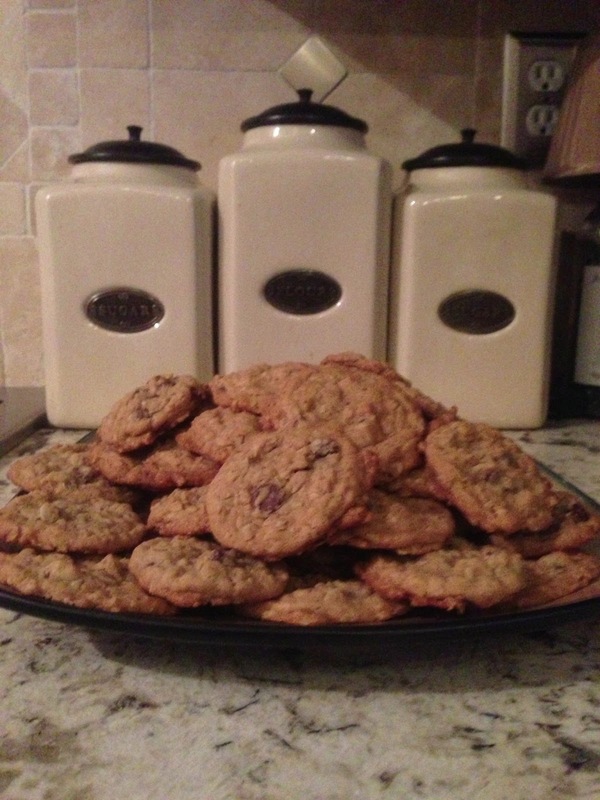 They have the perfect combination of oatmeal to chocolate chips and are so addicting! They are easy to make, and are a sure crowd pleaser, enjoy!